Rwanda’s ease of doing business practices and a framework aimed at promoting environmental friendly initiatives are making the country a place for development of new ideas and attraction for private investment in this area, Winifred Ngangure, Head of Investment Promotion at Rwanda Development Board (RDB) has said. She made the observation while delivering her remarks during the African Green Growth Forum (AGGF 2018) which has been being held in Kigali from November 26 to 30, 2018. 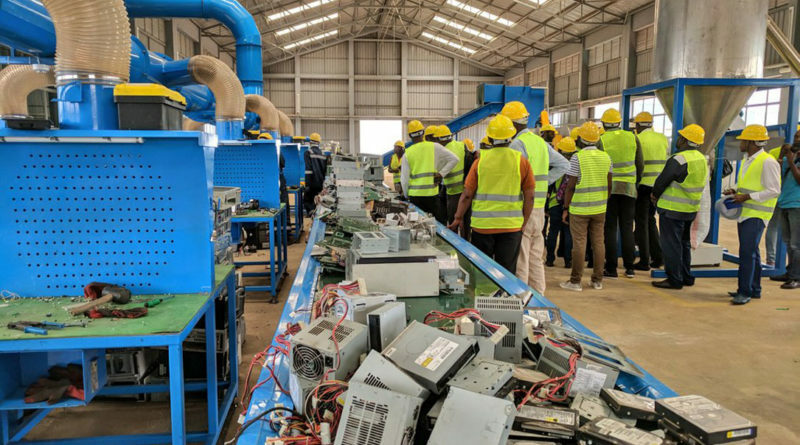 “It is pleasing to see the country become an incubator of new ideas and opportunities for private green investment – from e-waste recycling and the delivery of medical supplies by drone to renewable energy and car sharing schemes,” Ngangure said. She said it is pleasing to share that Bloomberg New Energy Finance’s Climatescope report, published this week, shows that developing nations are leading the global clean power transition and that Rwanda was ranked 5th in the world. 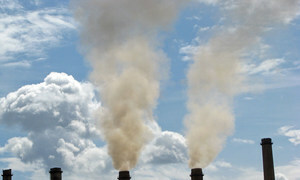 “This demonstrates that you don’t need to have the largest market to promote investment in key areas such as green growth, rather, it requires a long term vision, clear targets, a plan for attracting investments and a regulatory framework that encourages innovation, but discourages activities that pose a threat to our health and that of the environment,” she observed. For her, the time is now for Africa to increase its green growth and circular economy investments, place young people in green jobs and promote continued and consistent improvements in resource use and efficiency. She expressed need to find new and innovative ways to invest in activities that clean our air, ensure people are healthy, and that expand opportunities for all. “The health and wealth of our continent requires that we prioritise green growth. 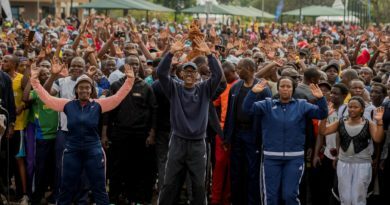 Not only to increase jobs and grow our economies, but to create a future in which future generations can realise their hopes and dreams,” she pointed out. Rwanda’s Minister of Environment, Dr. Vincent Biruta said that investments being made in green growth in Rwanda are in a number of ways, with a focus on clean energy, waste management and green urbanisation. “Currently, renewable energy accounts for approximately 70% of Rwanda’s energy mix. 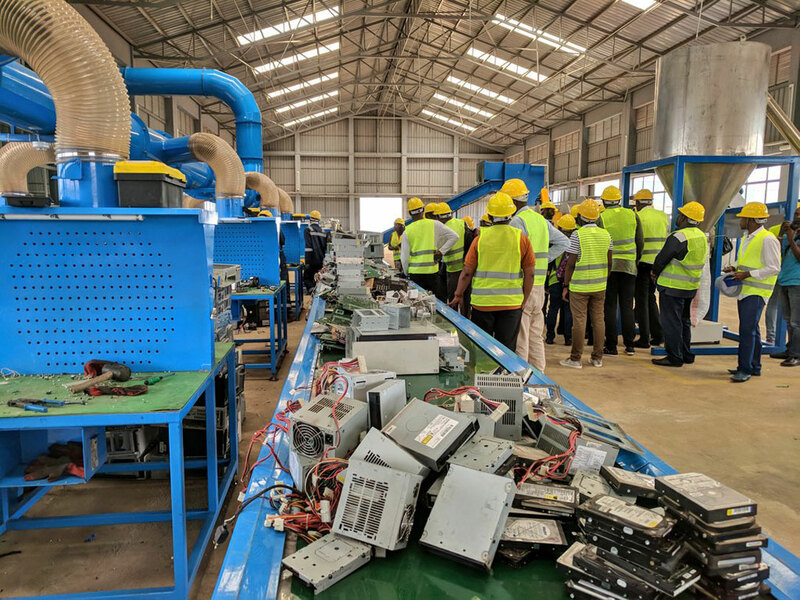 Rwanda recently established a state-of-the-art e-waste recycling facility. We are also working with partners to build a Green City Pilot in Kigali, and to green the country’s six secondary cities,” Biruta revealed. 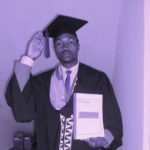 “These are just some of the tangible activities taking place in Rwanda, and there are many more examples across the continent that we can be proud of. I challenge everyone in this room to keep up the momentum as we strive to build a green Africa,” Minister Biruta told an assembly of about 1,000 environment players who came from various countries to attend in the forum. Pablo Vieira, Global Director of the NDC Partnership Support Unit said that Rwanda has a kind of vision backed by action that the rest of the world needs to take now. The NDC Partnership is a coalition of countries and institutions working to mobilize support and achieve ambitious climate goals while enhancing sustainable development. 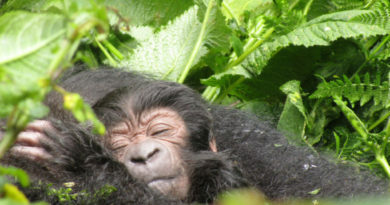 “Rwanda has recognized that economic growth and climate action are two sides of the same coin. And has proven it by putting in place strong national policies and frameworks, that are well adopted, deeply understood and transcend into plans for the future, Vieira said.